Here you will find general travel information, guides, “good to know” and facts as well as travel deals. See current weather, forecasts and exchange rates. Jönköping is beautifully located on the south shore of Lake Vättern, the second largest lake in Sweden. Surrounded by all in all three lakes the city offers wonderful lakeside views but also a sandy beach right in the city center. With its central location in southern Sweden, Jönköping is a logistic hub and a perfect base for your stay in Sweden. By bus, train or car you can easily reach Copenhagen, Malmö, Gothenburg or Stockholm within a few hours. And from Jönköping Airport you can quickly reach the rest of Europe. Historically Jönköping is known as the Matchstick town. This is where the safety match was invented and here you can visit the only Match museum in the world and learn about its exciting history. It is located in a beautiful wooden building from 1848, which once was the site of the first match factory. With views stretching for miles over the southern district of Lake Vättern, the city park is just five minutes by bus from the city center. The city park is a beautiful nature area in Jönköping for all ages. The park has a popular playground with lots of play areas and equipment , picnic areas, bird ponds, animal pastures, mini golf, an ice cream kiosk and a restaurant. There is also the unique Bird Museum with a collection of approx 1400 stuffed birds of 341 species, as well as an open-air museum to which old buildings have been moved. In the summer, the county museum usually moves into the houses and opens them for different activities. Below you can find some practical “good to know” informations. Where possible we entered links. Below you can see information about airport, train and bus terminals. If you need hotel or apartment in the city you can try a search for the cheapest and best hotel offers. The search will show best offers at any given time and date. See our recommendations below. There’s a wide range of hotels and hostels in Jönköping to suit all budgets. You will find everything from the modern Vox Hotel, to historic Elite Stora Hotellet. There are also hostels located both in the city and in the nearby surroundings. Updated information. You can get good ideas and inspiration about what to see and do in the city from tourist information website. In Jönköping you can visit the only Match museum in the world and learn about its exciting history. It is located in a beautiful wooden building from 1848, which once was the site of the first match factory. Is definitely also worth a visit. It has a special section with works by John Bauer, the artist famous for his drawings and paintings of trolls, princesses and knights. John Bauer grew up in Jönköping and often returned to the region in his short life. Inspired by Bauer’s works, a whole wardrobe has been filled with clothes to fit children aged 3-8 years so they can play princesses, trolls or knights – dress up and give free rein to their imagination in this magical setting that has been created in the fairy tale wardrobe. With a collection of approx 1400 stuffed birds of 341 species. The city has some good restaurants that offer all kinds of international food. There are also attractive cafes and bars. If you have knowledge of good places which is not listed, you can send the information on e-mail. You can find food from more or less the whole world in Jönköping, from local Swedish meals to more exotic dishes. There is a wide range of restaurants in the city, many of them located on the waterfront. Of course you can’t miss out on a “fika”, the traditional way to have coffee in Sweden. You will find plenty of nice cafés in Jönköping. If you should be hungry during your stay, well do not panic. You can find a good and cheap restaurant in a city restaurant search, have a look at the possibilities here. The city has a range of shops. The most popular shopping areas are in the city centre. The smaller streets have more unique shops and indoor markets. If you have knowledge of shopping ideas which is not listed, you can send the information on e-mail. There is great shopping in both the city center and at the A6 shopping center, just outside the city. Below we are listing the best events in the city. If you have knowledge of an an event which is not listed, send the information on e-mail. Below we are listing information about culture and sport in the city. If you have knowledge of information which is not listed, send the information on e-mail. Gränna is a beautiful town located on the east side of Lake Vättern and with Grännaberget as a nice back drop. Take a stroll along the cobbled streets and visit the small shops, restaurants and cafés and of course one of the many candy cane bakeries. You shouldn’t miss out on a visit at Grenna museum where you can take part of the history of the Gränna born Andrée’s polar expedition. From Gränna you can take the ferry over to the historic island Visingsö. The island offers beautiful sceneries and historic castle ruins. The best way to explore the island is on a bicycle, which you can rent near the harbor or by a traditional horse carriage. With its 343 m above sea level and with a magnificent view Taberg is a natural attraction. On the mountain top there is a restaurant/café and an adventure miniature golf course and miles wide view. In the old mine there are guided tours with the opportunity to see real live bats. If you are interested in industrial development a visit to Norrahammars Industrial museum is a must. In the same premises you can find a Radio & Television museum. Huskvarna is known for its beautiful gardens and industrial traditions. The predecessor of Husqvarna AB, a rifle factory, started its manufacturing here already in 1689. Today they produce among other things chainsaws, lawn mower and sewing machines. The Husqvarna museum shows everything they have manufactured from the start up until today. 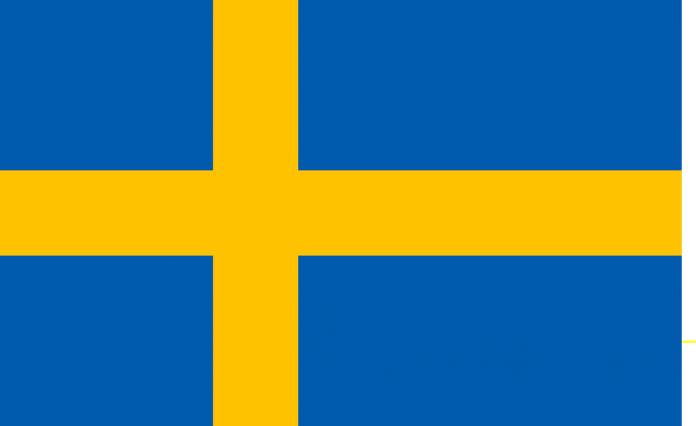 Sweden Public Holidays See the calendars for national Sweden holidays year by year. Find and just click on the year you for which you need more information about Sweden holidays, and the calendar for the year will open. When is the non working days for the year. Public / national days, see the calendar for the country here.